Being a huge fan of Italy; the culture, food (of course!) 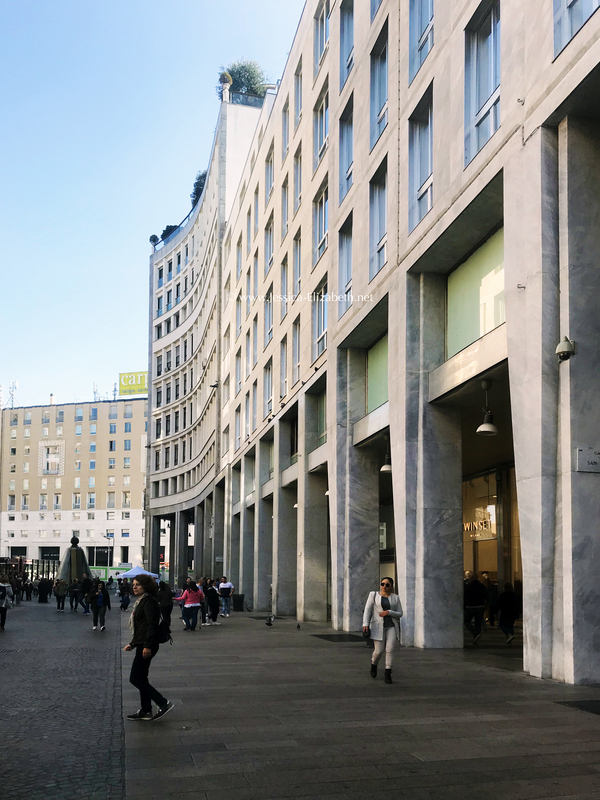 and architecture, it only seemed right to do more of a lifestyle post this week to share how we spent (and made the most of) our 36 hours in Milan. Arriving on Saturday mid afternoon we caught a bus straight from the airport to Milan Centrale Station. It’s the main transport link in and out of the city and as we were catching a train to Venice early on Monday we opted to stay in a hotel opposite one of the entrances to this station. As this station isn’t necessarily in the centre of Milan, we got the Metro everywhere which is very easy, and cheap. It operates on a single fare basis, and at €1.50 per trip it made sense to use it, see more and be close to Milan Centrale. A “24 hours in Venice” post will follow soon! 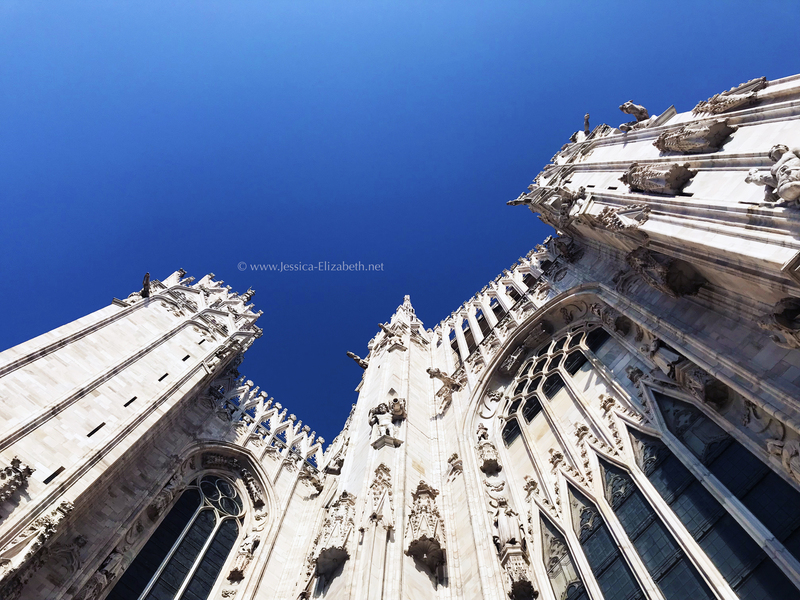 Milan’s Cathedral, the Duomo di Milano, is one of the most spectacular cathedrals I’ve ever seen. It marks the centre of the city and as there is a metro station in the square itself it only made sense to make our way there first. We spent our first evening walking around the Duomo and some of the surrounding streets. As one of the top tourist destinations in Milan, it was top of our list both day and night. The following morning we returned for when the Cathedral opened. We pre-purchased a ticket through GetYourGuide.com for accessing the rooftop terraces and looking around inside. We didn’t feel a tour guide or audio guide was required as we were tight on time. The tickets we purchased were all-day access ones which meant we could have done this much later if we so wished. 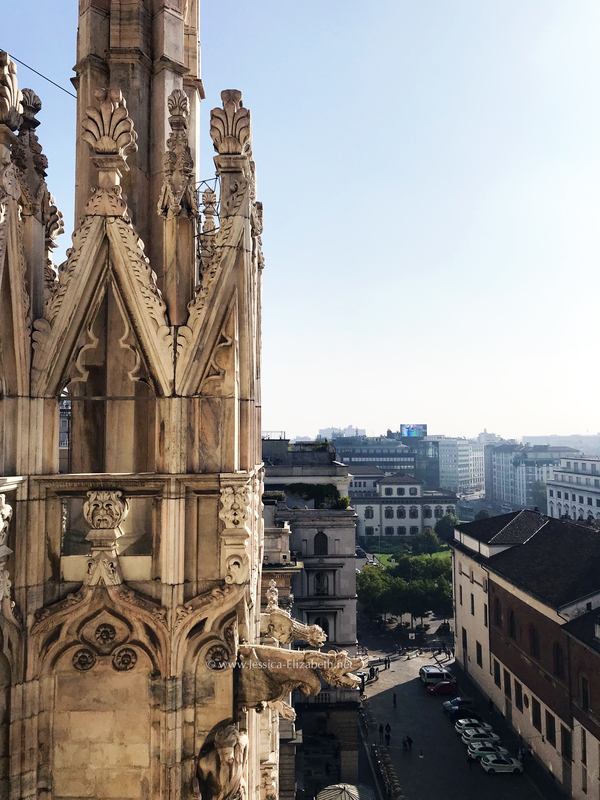 If you’re planning to visit Milan, I cannot recommend the Duomo (including rooftop access) enough! The architecture of the cathedral is beautiful, and even more spectacular from the roof. 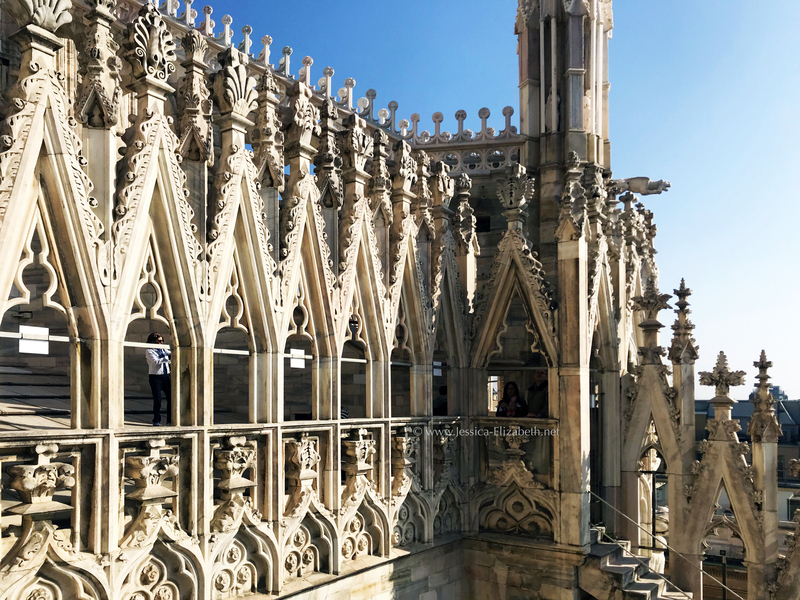 You can walk around all four sides of the cathedral where the views of the city are just as stunning as the Duomo itself. 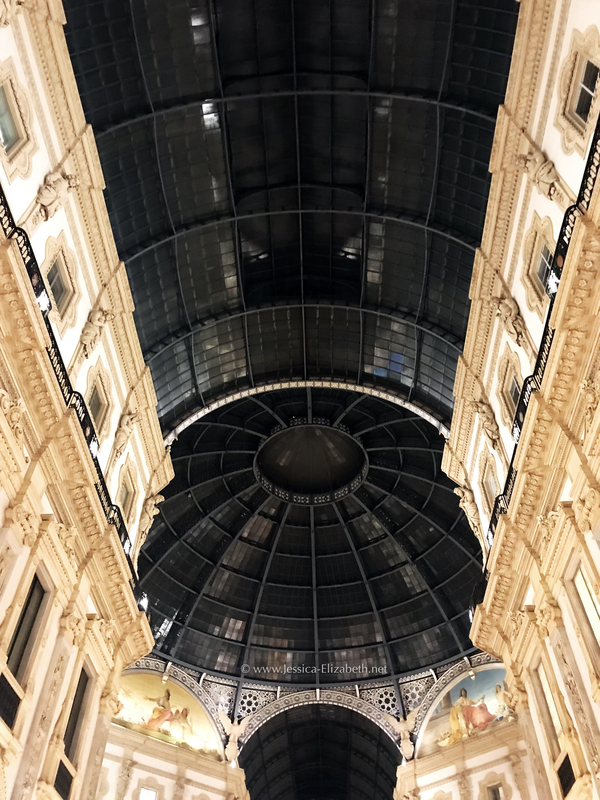 Having seen others travel to Milan on social media, we knew we’d like to see the Galleria Vittorio Emanuel II at the same time as the Duomo. It’s just off to the left side of the cathedral from the main square. With beautiful ornate architectural features, even the designer stores here are phenomenal. We tied this in in our first evening before finding a traditional Italian restaurant for dinner. We wanted to make the most of our first evening in Milan. After enjoying a pizza and drinks, we went walking through the streets off the main square of Duomo to explore the area. Beautiful Italian architecture adorn the streets so it was a pleasure to explore this area and enjoy a well earned Gelato after a day of travelling. 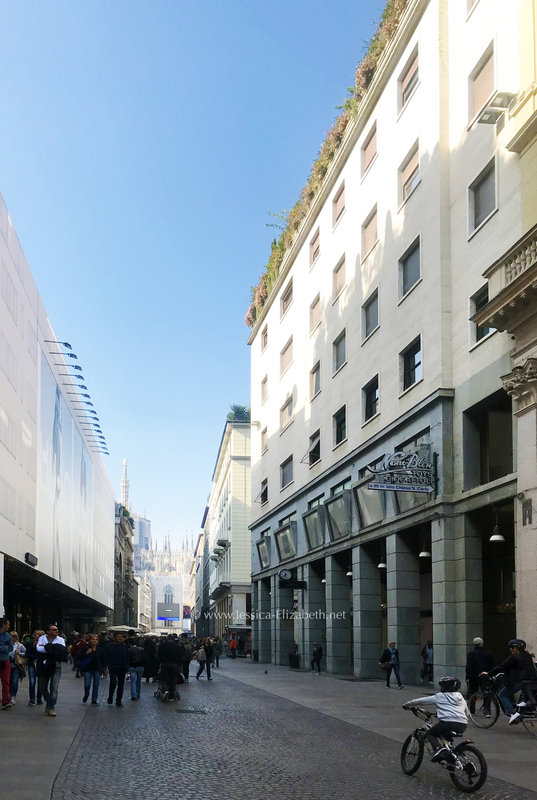 After going up to the rooftop of the Duomo on Sunday, we took a walk through some of the main shopping streets of Milan and found some hidden gems where we had a bite to eat. 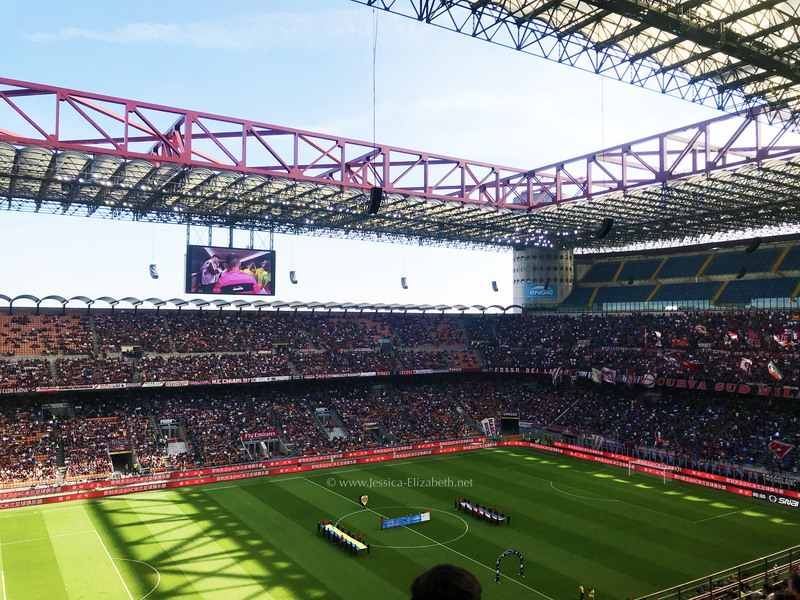 I’m not a fan of football really, but my partner is an avid Man United fan, so we were keen to watch a football match at the San Siro if there was one on. Luckily there was an AC Milan game at home that weekend so after exploring the Duomo rooftops in the morning we made our way to the stadium to get tickets. We looked at pre-buying tickets for the game on the lead up to our trip but there were plenty of seats left. We decided to buy them at the stadium on the lead up to the match which worked really well. We were able to soak up the pre-match atmosphere, have a few drinks and purchase some merchandise before kick-off. I surprisingly thoroughly enjoyed the match… It’s something you wouldn’t normally experience – and there was a high chance a Milan match wasn’t going to be at home that weekend so I’m really pleased we took advantage of the opportunity and went to see a game. The stadium itself is a sight to see – if you’re in Milan when a match is on I would definitely recommend going to see a game! 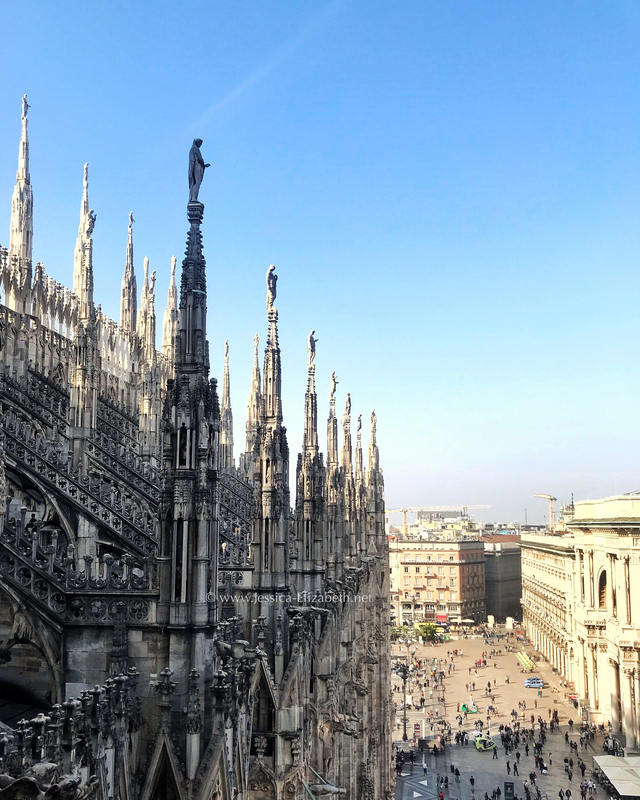 So there you have it – a quick guide to seeing Milan in 36 hours! Look out for my next post on making the most of Venice in 24 hours. Have you travelled to Milan before? 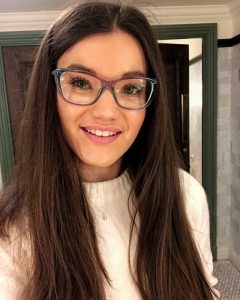 I’d love to hear your thoughts on the city in the comments below!